The full kitchen contains microwave, coffeemaker and stocked with all utensils ready for your cooking needs! The living room has leather furnishings, television, and leads to the outdoor balcony where you can soak in terrific Florida sun! The master bedroom, with comfortable king sized bed, and television leads to a spotless bathroom. The second guestroom has two twin beds, and television, perfect for a family or party of four. Linens for all beds, extra pillows and sufficient towels for your stay are always provided at SunHost resorts. Washer and dryer and free internet are included. The added bonus is this unit is just steps to all amenities! You can be at the beach, heated swimming pool, BBQ facilities and John's Pass Village in less than five minutes! At the Pass you and your family and friends can enjoy shopping, restaurants, and entertainment along a 1,100 pirate themed boardwalk. A quaint turn-of-the-century fishing village and Pinellas County's number 1 tourist attraction. The Village has over one hundred unique shops, a variety of restaurants, the local fishing fleet, dolphin watching and shelling tours, boat rentals, parasailing and jet skiing. Best of all as a SunHost customer you can walk to this great entertainment destination. Anchor tenants include Bubba Gumps, Hooters and Hubbards Marina and also world famous Bamboo Beer Garden. Needs new beds, fans, drapes, floorlng, appliances and paint. 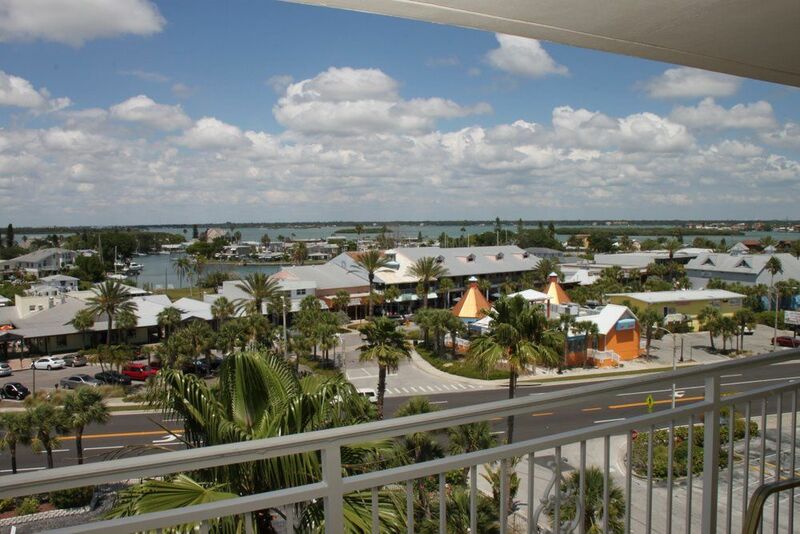 love Madeira beach, do mot love the unit, Dated needs new decor had to clean everything in kitchen before use kitchen equipment seriously lacking its either bent ,bowed, scratched or cracked, linens are old bobbled torn in places. paint is missing on doors cupboards and drawers are missing handles and knobs. would not stay in this one again, even neighbour said people are not normally in this one, i can see why. lovation and building are grwat tho lovel pool and whole area is very clean and well maintained, walk across street to johns pass. shame the owners haven't took time to update or maintain could make good income. This place is across from John's Pass- nice location. Everything in the condo is old and could definitely use updating. It doesn't face the ocean, but has a good view of the intercoastal. From the kitchen to the bedrooms and bathrooms to the family room, everything needs to be updated and painted. I don't believe it's dirty, just needs a facelift. I would stay in this building again but definitely not this unit.